The Link Lady facelifts a design of recent vintage that was famous once upon a time. A reboot of the original, the new Link Lady features the unusual combination of a cushion-shaped case and sculpted s-shaped links. As anyone who was young in the late 1980s or 1990s can attest, the TAG Heuer S/el – short for “sport elegance” – was one of the quintessential watches of the era. 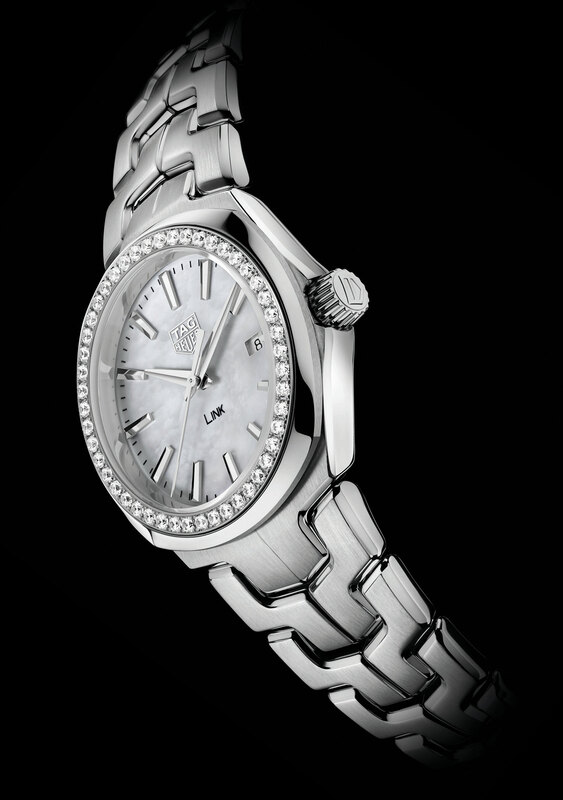 Endlessly copied and aggressively advertised, the S/el was defined by its s-shaped bracelet links, a feature TAG Heuer later ported over to its successor, the Link. While the original S/el now looks hopelessly outdated, the restyled Link Lady manages to look contemporary while retaining the distinctive bracelet design. The case is now cushion-shaped, while the bracelet links more angular, as well as more carefully finished with brushed top surfaces and polished bevels. 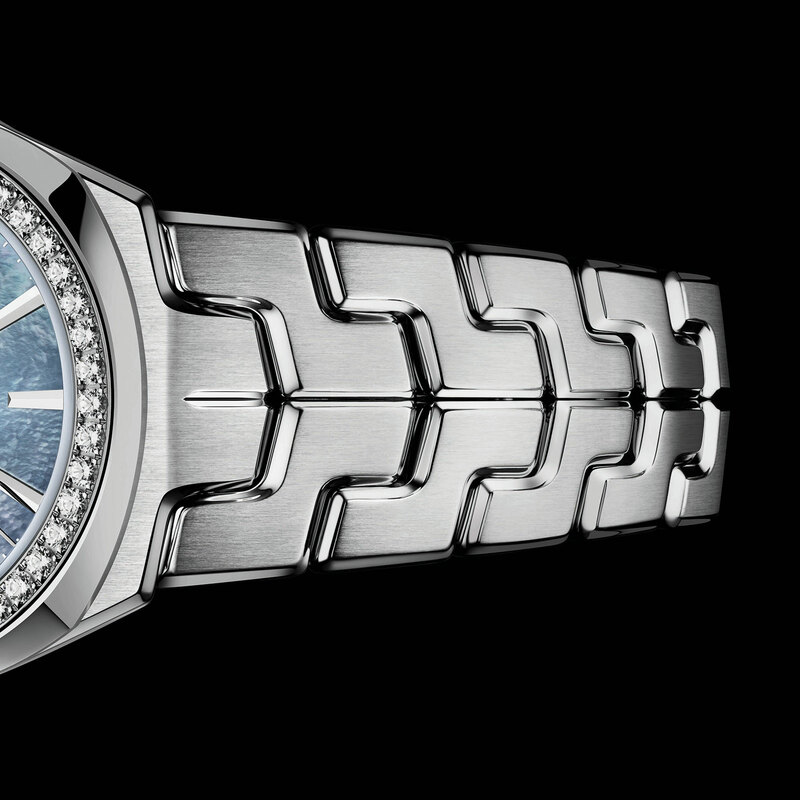 Design aside the Link Lady is a typical, sporty ladies’ wristwatch. The case is 32mm in diameter, with a quartz movement inside. 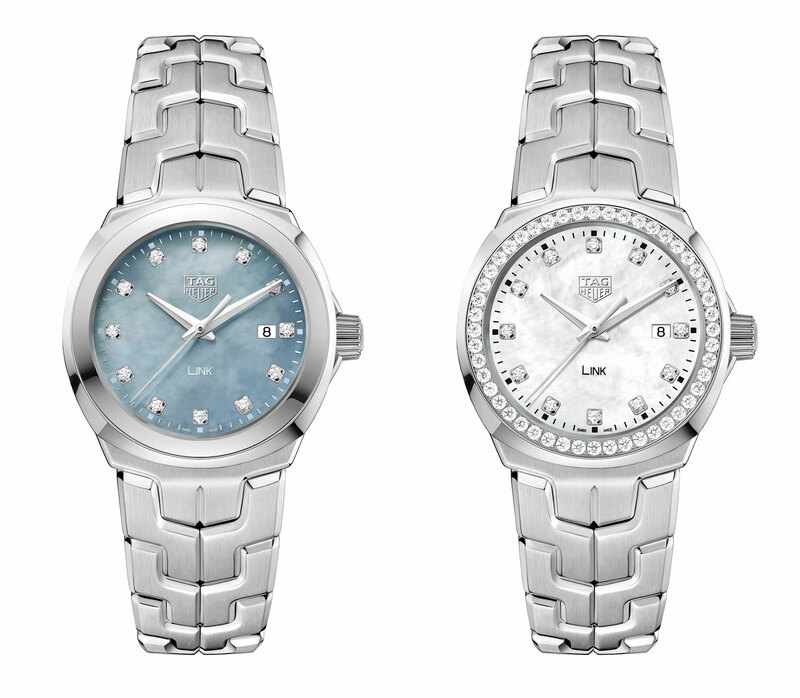 Dials are mother of pearl in various colours, along with the option of diamonds on the dial and bezel. The entry-level models are stainless steel, while the top of the line models are in black ceramic – case as well as bracelet – in either a polished or matte finish. 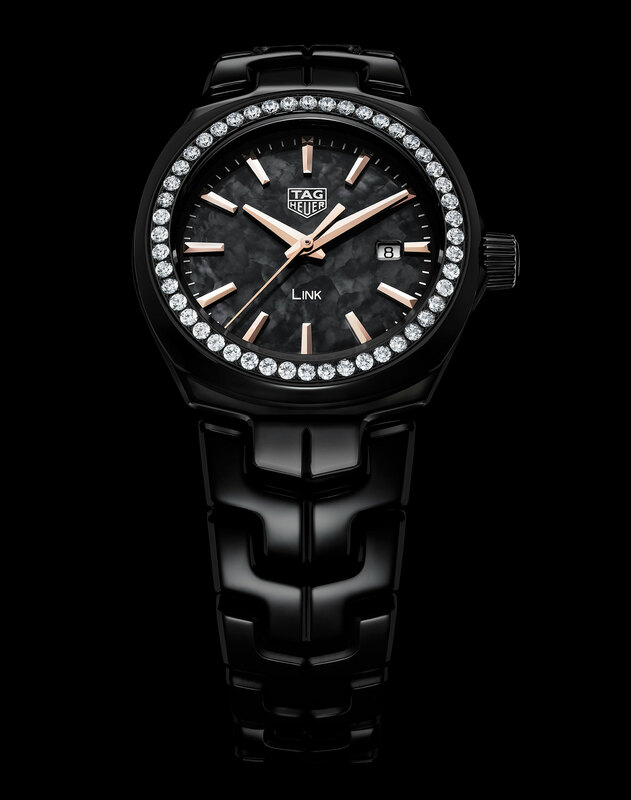 Available at TAG Heuer stores, the Link Lady starts at US$1650 for the basic model, rising to US$3650 for the the version with a diamond-set bezel. Pricing for the ceramic Link Lady has yet to be announced.